As a college student, you will eventually choose a major or focus of study. In your first year or so, though, you’ll probably have to complete “core” or required classes in different subjects. For example, even if you plan to major in English, you may still have to take at least one science, history, and math class. These different academic disciplines (and the instructors who teach them) can vary greatly in terms of the materials that students are assigned to read. Not all college reading is the same. So, what types can you expect to encounter? Probably the most familiar reading material in college is the textbook. These are academic books, usually focused on one discipline, and their primary purpose is to educate readers on a particular subject—”Principles of Algebra,” for example, or “Introduction to Business.” It’s not uncommon for instructors to use one textbook as the primary text for an entire course. Instructors typically assign chapters as readings and may include any word problems or questions in the textbook, too. Instructors may also assign academic articles or news articles. Academic articles are written by people who specialize in a particular field or subject, while news articles may be from recent newspapers and magazines. For example, in a science class, you may be asked to read an academic article on the benefits of rainforest preservation, whereas in a government class, you may be asked to read an article summarizing a recent presidential debate. Instructors may have you read the articles online or they may distribute copies in class or electronically. The chief difference between news and academic articles is the intended audience of the publication. News articles are mass media: They are written for a broad audience, and they are published in magazines and newspapers that are generally available for purchase at grocery stores or bookstores. They may also be available online. Academic articles, on the other hand, are usually published in scholarly journals with fairly small circulations. While you won’t be able to purchase individual journal issues from Barnes and Noble, public and school libraries do make these journal issues and individual articles available. It’s common to access academic articles through online databases hosted by libraries. Instructors use literature and nonfiction books in their classes to teach students about different genres, events, time periods, and perspectives. For example, a history instructor might ask you to read the diary of a girl who lived during the Great Depression so you can learn what life was like back then. In an English class, your instructor might assign a series of short stories written during the 1960s by different American authors, so you can compare styles and thematic concerns. Literature includes short stories, novels or novellas, graphic novels, drama, and poetry. Nonfiction works include creative nonfiction—narrative stories told from real life—as well as history, biography, and reference materials. Textbooks and scholarly articles are specific types of nonfiction; often their purpose is to instruct, whereas other forms of nonfiction be written to inform, to persuade, or to entertain. Casual reading across genres, from books and magazines to newspapers and blogs, is something students should be encouraged to do in their free time because it can be both educational and fun. In college, however, instructors generally expect students to read resources that have particular value in the context of a course. Why is academic reading beneficial? Information comes from reputable sources: Web sites and blogs can be a source of insight and information, but not all are useful as academic resources. They may be written by people or companies whose main purpose is to share an opinion or sell you something. Academic sources such as textbooks and scholarly journal articles, on the other hand, are usually written by experts in the field and have to pass stringent peer review requirements in order to get published. Learn how to form arguments: In most college classes except for creating writing, when instructors ask you to write a paper, they expect it to be argumentative in style. This means that the goal of the paper is to research a topic and develop an argument about it using evidence and facts to support your position. Since many college reading assignments (especially journal articles) are written in a similar style, you’ll gain experience studying their strategies and learning to emulate them. Exposure to different viewpoints: One purpose of assigned academic readings is to give students exposure to different viewpoints and ideas. For example, in an ethics class, you might be asked to read a series of articles written by medical professionals and religious leaders who are pro-life or pro-choice and consider the validity of their arguments. Such experience can help you wrestle with ideas and beliefs in new ways and develop a better understanding of how others’ views differ from your own. 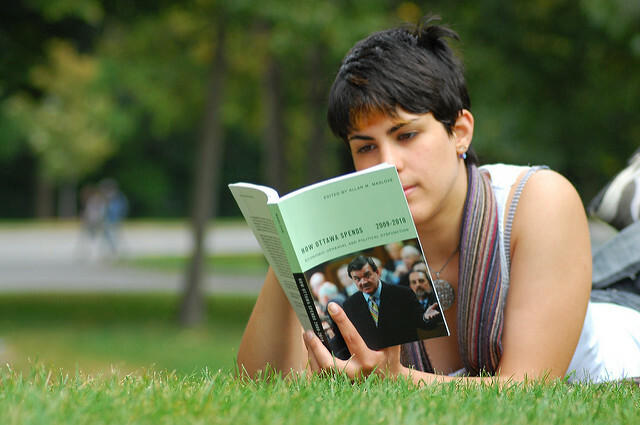 Review the main types of academic reading and the purpose of academic reading. Imagine you are an instructor for a class. This could be a class you are currently taking or one you would like to see offered. 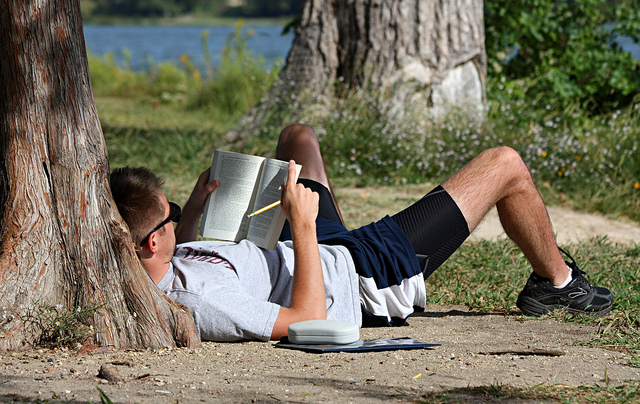 Identify three academic readings that you would assign to your students. Explain why you would assign these works and what you would expect your students to learn or do after reading them. Preview: You can gain insight from an academic text before you even begin the reading assignment. For example, if you are assigned a nonfiction book, read the title, the back of the book, and table of contents. Scanning this information can give you an initial idea of what you’ll be reading and some useful context for thinking about it. You can also start to make connections between the new reading and knowledge you already have, which is another strategy for retaining information. Read: While you read an academic text, you should have a pen or pencil in hand. Circle or highlight key concepts. Write questions or comments in the margins or in a notebook. This will help you remember what you are reading and also build a personal connection with the subject matter. Summarize: After you an read academic text, it’s worth taking the time to write a short summary—even if your instructor doesn’t require it. The exercise of jotting down a few sentences or a short paragraph capturing the main ideas of the reading is enormously beneficial: it not only helps you understand and absorb what you read but gives you ready study and review materials for exams and other writing assignments. Review: It always helps to revisit what you’ve read for a quick refresher. It may not be practical to thoroughly reread assignments from start to finish, but before class discussions or tests, it’s a good idea to skim through them to identify the main points, reread any notes at the ends of chapters, and review any summaries you’ve written. The following video covers additional active reading strategies readers can use before, during, and after the reading process. In college it’s not uncommon to experience frustration with reading assignments from time to time. Because you’re doing more reading on your own outside the classroom, and with less frequent contact with instructors than you had in high school, it’s possible you’ll encounter readings that contain unfamiliar vocabulary or don’t readily make sense. Different disciplines and subjects have different writing conventions and styles, and it can take some practice to get to know them. For example, scientific articles follow a very particular format and typically contain the following sections: an abstract, introduction, methods, results, and discussions. If you are used to reading literary works, such as graphic novels or poetry, it can be disorienting to encounter these new forms of writing. Below are some strategies for making different kinds of texts more approachable. Academic texts, like scientific studies and journal articles, may have sections that are new to you. If you’re not sure what an “abstract” is, research it online or ask your instructor. Understanding the meaning and purpose of such conventions is not only helpful for reading comprehension but for writing, too. Have a good college dictionary such as Merriam-Webster handy (or find it online) when you read complex academic texts, so you can look up the meaning of unfamiliar words and terms. Many textbooks also contain glossaries or “key terms” sections at the ends of chapters or the end of the book. If you can’t find the words you’re looking for in a standard dictionary, you may need one specially written for a particular discipline. For example, a medical dictionary would be a good resource for a course in anatomy and physiology. If you circle or underline terms and phrases that appear repeatedly, you’ll have a visual reminder to review and learn them. Repetition helps to lock in these new words and their meaning get them into long-term memory, so the more you review them the more you’ll understand and feel comfortable using them. Reading online texts presents unique challenges for some students. For one thing, you can’t readily circle or underline key terms or passages on the screen with a pencil. For another, there can be many tempting distractions—just a quick visit to amazon.com or Facebook. Where possible, download the reading as a PDF, Word document, etc., so you can read it offline. Get one of the apps that allow you to disable your social media sites for specified periods of time. Adjust your screen to avoid glare and eye strain, and change the text font to be less distracting (for those essays written in Comic Sans). Install an annotation tool in your Web browser so you can highlight and make notes on online text. One to try is hypothes.is. A low-tech option is to have a notebook handy to write in as you read. Professors tend to assign reading from reputable print and online sources, so you can feel comfortable referencing such sources in class and for writing assignments. If you are looking for online sources independently, however, devote some time and energy to critically evaluating the quality of the source before spending time reading any resources you find there. Find out what you can about the author (if one is listed), the Web site, and any affiliated sponsors it may have. Check that the information is current and accurate against similar information on other pages. Depending on what you are researching, sites that end in “.edu” (indicating an “education” site such as a college, university, or other academic institution) tend to be more reliable than “.com” sites. Images in textbooks or journals usually contain valuable information to help you more deeply grasp a topic. Graphs and charts, for instance, help show the relationship between different kinds of information or data—how a population changes over time, how a virus spreads through a population, etc. Data-rich graphics can take longer to “read” than the text around them because they present a lot of information in a condensed form. Give yourself plenty of time to study these items, as they often provide new and lasting insights that are easy to recall later (like in the middle of an exam on that topic!). 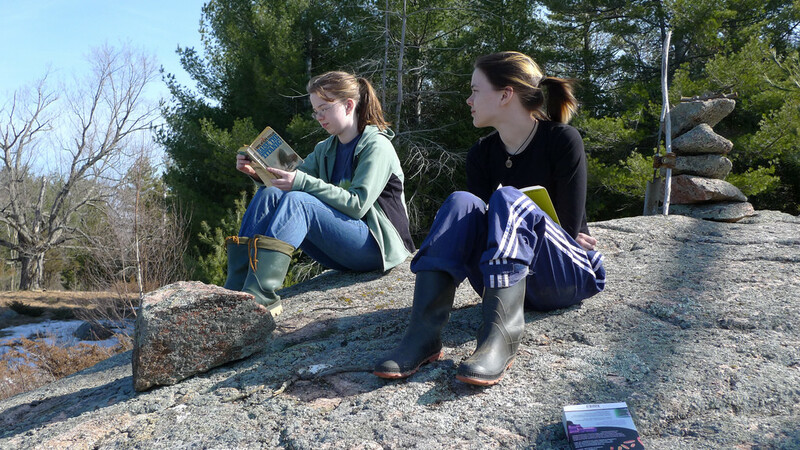 Reading frequently both in and out of the classroom will help strengthen your vocabulary. Whenever you read a book, magazine, newspaper, blog, or any other resource, keep a running list of words you don’t know. Look up the words as you encounter them and try to incorporate them into your own speaking and writing. You may be familiar with the “looks like . . . sounds like” saying that applies to words. It means that you can sometimes look at a new word and guess the definition based on similar words whose meaning you know. For example, if you are reading a biology book on the human body and come across the word malignant, you might guess that this word means something negative or broken if you already know the word malfunction, which share the “mal-” prefix. If you are studying certain words for a test, or you know that certain phrases will be used frequently in a course or field, try making flashcards for review. For each key term, write the word on one side of an index card and the definition on the other. Drill yourself, and then ask your friends to help quiz you. Developing a strong vocabulary is similar to most hobbies and activities. Even experts in a field continue to encounter and adopt new words. The following video discusses more strategies for improving vocabulary. Words are sneaky, charming, and intriguing. The more complex our vocabularies, the more complex our thoughts are, too.